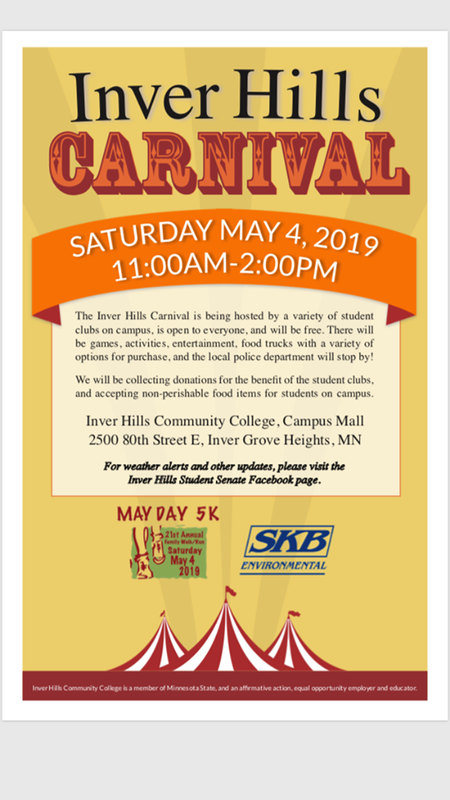 The May Day 5K will be held at Inver Hills Community College with a FREE Carnival following the race. Race day check-in/registration is from 8:00-9:00am. There will be prize drawings. Pre-register to guarantee yourself a t-shirt. This race is a fun walk/run with a short route for families. 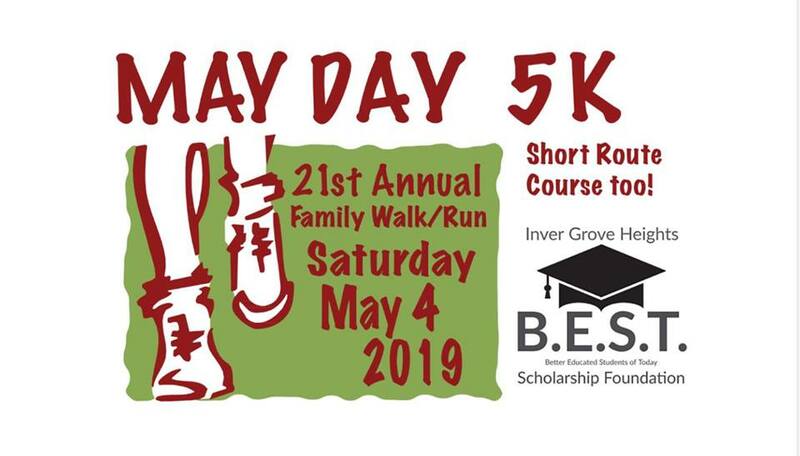 Proceeds go to the Inver Grove Heights B.E.S.T Foundation and will be used to grant scholarships to Simley High School students.